Asean and its three regional partners will launch a $120 billion currency swap facility on March 24 that aims to ensure sufficient U.S. dollar liquidity in the event of a financial crisis. The new pact is an upgrade of the existing Chiang Mai Initiative, which was launched in 2000 by the Association of Southeast Asian Nations plus Japan, China and South Korea. That came after regional countries experienced a severe capital flight in the wake of the 1997-1998 Asian financial crisis. COPENHAGEN, December 17 /PRNewswire/ -- Saxo Bank has today released its annual "Outrageous Predictions", this year predicting devaluation of the CNY, the emergence of a third political party in the US, a massive fall in the price of sugar, a positive US trade balance for the first time since the 1975 oil crisis, and that the US Social Security Trust Fund will go bust. The Copenhagen-headquartered online trading and investment specialist's ten predictions are an annual thought exercise to predict rare but high impact 'black swan' events that are beyond the realm of normal market expectations. The exercise aims to challenge market conceptions. Compiled as part of the bank's 2010 Outlook, the claims this year paint a picture of a more positive year ahead but with a few tremors along the way. Deflationary forces and excessive monetary policy will lower the yield on Bunds and other sovereign fixed income when the government fixed income traders refuse to buy into the "growth story" that is being told by the stock market. We believe that the German 10-Year Government Bond could be forced from 122.6 to 133.3 by the end of 2010 in a general flight to quality. The markets are showing the same kind of complacency towards risk as they were in 2005-06. Although the VIX has been trading lower since October 2008, this could bring the VIX down from 22.32 to 14 as trading ranges narrow and implied options volatility declines. The efforts of Chinese authorities to stem the credit growth and avoid bad loans, combined with the creation of several growth bubbles could ultimately reveal the Chinese investment-driven growth as being deficient. The massive, Chinese spare capacity and the economic backdrop could be a deciding factor in devaluing the CNY vs. the USD. A general strengthening of the USD could break the back of the recent speculative element in gold. Although we are long term bullish on gold (believing it will reach $1500 within five years), this trade seems to have become too easy and too widespread to pay out in the shorter term. A serious correction towards the $870 level could shake out the speculative community while keeping the metal in a longer term uptrend. Although the downturn in the USD is rooted in irresponsible fiscal and monetary policies, we believe that the USD could snap back at some point in 2010 because the USD carry trade has been too easy and too obvious for too long. At the same time, the JPY is not reflecting economic reality in Japan, which is struggling with a huge debt burden and ageing population. The anti-incumbent mood is approaching 1994 and 2006 levels as a result of bail-outs and general disapproval of both the big parties. A demand for real change among American voters could propel a third new party to become a deciding factor in the 2010 elections. This is not so much an outrageous claim as an actuarial and mathematical certainty. The outrageous part is that social security taxes and contributions have been squandered for so long. 2010 will be the first year where outlays for the non-existing trust fund will have to be part-financed by the federal government's General Fund. I.e. the budget trick, in reality a "fund" without funds, will be visible for the first time. Part of the social security outlays will have to be financed by higher taxes, more borrowing or more printing. Despite a recent spike in prices caused by Indian drought and above average rainfall in Brazil, the forward curve already indicates considerable downside beyond 2011 so a return to more normal weather conditions in 2010 would make sugar one of the less inspiring commodities. Furthermore, the higher price of ethanol (which is correlated to the demand for sugar) has made both Brazil and the US lower the ethanol content of gasoline by five percentage points, consequently lowering the demand for sugar. Small cap firms have been underperforming the Nikkei, but their fundamentals indicate this is a "bargain index" compared with its large-cap peer. With a price/book ratio of only 0.77 and only about 12% of the index consisting of financials, we know no other index this cheap. Positive GDP figures in 2010 could very well make this index a surprise to the upside. Last time the US trade balance was positive was briefly in 1975 after a large drop in the USD following the aftermath of the oil crisis. The USD has now become cheap enough again to stimulate US exports and punish imports. The trade balance has already improved somewhat but change takes time and once it has momentum we would not rule out a positive US trade balance for one or more months of 2010. "We believe that 2010 will be a year of reflation, but structural headwinds lie ahead of us and could turn 2010 into a rollercoaster ride. "One of the most likely structural headwinds will be a shift in investor focus towards slowing GDP and timing issues regarding the path of FED tightening. This will bring risk aversion back into markets. "Whilst our annual 'outrageous claims' should be seen as the black swans of the market rather than outright predictions, we do believe that the odds of these events happening are somewhat higher than what is currently priced into the market", says David Karsboel. Saxo Bank is an online trading and investment specialist, enabling clients to trade Forex, CFDs, Stocks, Futures, Options and other derivatives, as well as providing portfolio management via SaxoWebTrader and SaxoTrader, the leading online trading platforms. SaxoTrader is available directly through Saxo Bank or through one of the Bank's global partners. White label is a significant business area for Saxo Bank, and involves customised and branding the Bank's online trading platform for other financial institutions and brokers. Saxo Bank has more than 120 white label partners and boasts thousands of clients in over 180 countries. Saxo Bank is headquartered in Copenhagen with offices in Australia, China, the Czech Republic, France, Greece, Italy, Japan, the Netherlands, Singapore, Spain, Switzerland, UK, and the United Arab Emirates. 6) EURUSD will fall to 0.95 and then go to 1.30 as European bank balances are under tremendous pressure because of exposure to the faltering Eastern European markets and intra‐European economic tensions. 7) Chinese GDP growth drops to zero. The export driven sectors in the Chinese economy will be hurt significantly by the free‐fall economic activity in the Global Trade and especially of the US. 9) Reuters/ Jefferies CRB Index to drop 30% to 150. The Commodity bubble is bursting, with speculative excesses so large they have skewed the demand and supply statistics. 10) 2009 will see the first Asian currencies to be pegged to CNY. Asian economies will increasingly look towards China to find new trade partners and scale down their hitherto US‐centric agenda. 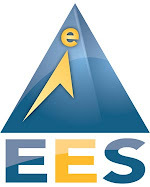 Your product "Elite Expert Trader Expert Advisor Porfolio 4 MT4 (http://download.famouswhy.com/elite_expert_trader_expert_advisor_porfolio_4_mt4/)" has been granted the "Famous Software Award" by FamousWhy.com. The Famous Software Award has been initiated by FamousWhy.com to recognize "Famous Software", which come up with innovative and efficient ways to reflect the best relationship with users assuring their satisfaction. If you place an image on your website, visitors could come straight to your software's page at Download.FamousWhy.com and discover the award which will give higher importance, confidence and value to it. They can also vote for the software in order to keep a high position and a better exposure in the Most Famous software listings from the index, category and subcategory pages, gaining more reputation, visitors and downloads back from us. Suggestion: use with secure firefox on your Ironkey! Short Term Reversal on EUR USD? http://www.bloomberg.com/apps/news?pid=20601087&sid=aiVCp0RbJ5dQ&pos=1 Dec. 7 (Bloomberg) -- The yen strengthened and the dollar rose to its highest level in a month against the euro as investors weighed whether the world economy is recovering fast enough to warrant higher central bank interest rates. U.S. stock index futures and commodities fell. The yen advanced against all 16 most-traded currencies tracked by Bloomberg as of 8:14 a.m. in New York. The dollar gained versus 15. The MSCI Emerging Markets Index dropped the most in six days, losing as much as 0.8 percent. Dubai's equity index plunged 5.8 percent to a four-month low. The Dow Jones Stoxx 600 Index of European companies sank 0.6 percent. Futures on the Standard & Poor's 500 Index slipped 0.3 percent, while gold fell for a third day. USD is still firm, though off its highs and equities are creeping higher again, but not much higher. For AUD investors, there is little reason to get involved and they are not. Day traders are monitoring the action in AUD/USD to ensure the pre-US employment data intraday forces like equity price action and commodity movement is relevant. So far, AUD/USD is soft, but the big move appears to be over for now. While the market is contending with low volume decay in AUD/USD, AUD/NZD has been climbing and the odds are high that 1.2800+ is going to be seen regularly as the market sets up for the RBNZ announcement that hits the wires at 20:00 gmt on Wed. M.B. Canadian Building Permits for Oct surprised the market by jumping 18% m/m compared with the 3,2% m/m increase seen in Sep (revised from 1.6% m/m). The actual outcome was much stronger than 4Cast's estimate of up 0.8% m/m. The larger than anticipated number is being blamed on the hard to predict and volatile non-residential sector. Despite the surprising strength in the data, CAD's reaction has been muted as dealers and investors continue to deal with Friday's surprising strength in both Canadian and US employment results. M.B. USD's advance is occasionally interrupted or exaggerated by the spotty order flow seen so far in the eurozone today. The point is that USD continues to work its way higher and GBP is one of the currencies that is most vulnerable to USD's advance. Clearing banks and the normal covey of large dealers are generally credited with the movement in the market, though the order flows are nothing to speak of in size terms. M.B. While the move is not really very impressive, it is apparent that those FX deals going through in the early hours of the N. American day/week are still biased toward buying USD. So far, while equity markets languish and commodities look vulnerable, the USD has been range bound since the eurozone open, after adding to gains during the latter half of the Asian trading day. Order flows are light, but they may be the only key to market direction while the market continues to look cynically at the "normal" USD to equity relationship that broke down, at least for the very short term, on Friday. M.B. While the FX markets are starting the week completely focused on USD, it is worth taking a look at key non-USD prices. In very limited turnover, JPY is ticking up vs USD and driving ahead of the rest of the market. Hear the "risk off" scenario seems to have some weight. Working in the background is the market's growing cynicism regarding the expected release of additional measures by the BoJ. Expanded QE at the BoJ seems to be scheduled and it seems to be largely the bank's reaction to pressure from the government to do something to give the economy a boost. So far the lack of news is tending to offset a tiny bit of the JPY decay that has come due to ongoing "jawboning" by Japanese government and BoJ officials. M.B. The broad based USD is continuing to climb. Market breadth and depth are usually limited on Mondays and today is no exception, but that is not stopping the USD from advancing. While the "risk off" scenario that usually accompanies a rally in the USD has softened the equity markets, the impact it is having on gold is much less subtle. Starting with the USD rally in post employment trading, gold has tumbled and the intraday lows on Monday of USD1136 have not been seen since 20 November. In the light trading seen so far today, there is not much room for a turnaround in either the USD advance or the downside price adjustments in gold or commodities in general. M.B. USD's advance, following Friday's suprisingly strong employment numbers has sent USD up across the board. USD's advance has been noted not only vs other currencies, which is obvious, but its advance has been blamed for sending gold prices and other commodity prices lower. The dealer community, that has been very comfortable with the equity vs USD relationship, is no longer comfortable after Friday's apparent breakdown in the relationship. While the USD may still have some room to advance unilaterally, the odds are strong that old relationships and pressures will reassert themselves, but they will need to be adjusted for new levels on the USD. M.B. During mid-session in the eurozone, GBP has been offered. GBP has been under pressure, like the rest of the market vs USD, but it is also having trouble uncovering support vs most of the remainder of the FX market. There is little chance that scheduled events this week like the Chancellor's pre-budget report and the regular BoE monetary policy meeting will give GBP any support. Corporate flows related to the Cadbury story are still bubbling in the background, but lack real substance for now. While there are many days where GBP leads the market, this week may be one of those weeks where it leads the market to the downside. M.B. * 07 Dec 09: 09:24(LDN) - FX NOW! USD/CAD, EUR/CAD Flows- CAD is not particularly weak, USD is stronger than the rest! USD just keeps going. CAD is keeping pace with EUR, where prices on EUR/CAD seem to be range bound in the 1.5650 to 1.5750 range. But, CAD is unable to keep pace with the broad based mark up in USD. Last week's report of the jump in Canadian Nov employment by 79.1k more than offset Oct's decline of 43.2k, but more important, it highlighted the volatility of the employment data and underscored the reason the BoC does not focus on employment data in the same way the Fed does. Tue's BoC monetary policy meeting is due to end without telling the market anything new (Search BoC + M/T for a preview). According to 4Cast analysts, the bank is to reinforce their comments that official rates will be held at 0.25% into the end of Q2, 2010. Technically, USD/CAD resistance that is in line to be tested is up at 1.0697, while more refined technical levels on EUR/CAD include resistance at 1.5730, with support seen at 1.5572. M.B. * 07 Dec 09: 09:17(LDN) - FX NOW! EUR/USD, USD/CHF Flows - 'General support' doesn't rule out downside spikes. If the Asian sovereign was a buyer, then it was obviously only a 'taster' as the futures led selling of EUR/USD keeps the USD moving higher. Stops now triggered on USD/CHF on the break of 1.0220 has seen a quick 'squirt' to break 1.0240, and setting up a move next to the 1.0250, and then 1.0277 levels. On EUR/USD, we now look for the 1.4775 trendline area to provide general support, though this does not rule out a push to 1.47 first! C.F. USD's advance is not over yet. AUD, the darling of the FX market this year, has yet to uncover investors willing to stand in the way of the US employment fuelled USD advance. AUD is holding its own vs other currencies, but even there, while the USD is advancing, AUD buyers are sitting on the sidelines. The market is AUD heavy and with year-end approaching, there is likely to be a wave of AUD selling associated with booking profits and ensuring bonuses. To offset that potential sell-off, there is a good deal of cash in investor hands that will need to be put to work over year end, which means the decline in AUD has an element of offering a growing opportunity. For now the cash will sit on the sidelines and the advancing USD is dictating broad market price action without specific buyers or sellers being noted/credited with pushing prices around. AUD/USD support levels that could tempt include 0.9060 and then down at 0.8985. M.B. * 07 Dec 09: 08:51(LDN) - FX NOW! EUR/USD, SPZ9 Flows - Now and in the future. A good start to the week for model and futures names, who have made quite an aggressive push at downside stops on a number of the majors, as equity futures prices fell in tandem. Stops at 1.48 on EUR/USD didn't appear to have bothered the scorers much, but a quick glance at 1.4775 was enough to bring a buyer back into the marketplace. Not confirmed yet, but suspicions that an Asian sovereign name might be that buyer are widespread. C.F. * 07 Dec 09: 08:30(LDN) - FX NOW! USD/CHF, EUR/CHF Flows - It's the dollar! Swiss retail sales for October rose by 3.1%y/y versus the 2.1% fall of the previous month, but its unsurprisingly giving little support to the CHF, which is actually keeping a smile on the face of SNB members by losing ground versus the stronger USD this morning. Technical studies suggest that the next resistance levels on USD/CHF will be seen at 1.0200/05, followed by 1.00222. C.F. * 06 Dec 09: 23:50(SYD) - FX NOW! USD/JPY, EUR/JPY Flows - Exporters not looking a gift horse in the mouth? * 06 Dec 09: 22:35(SYD) - FX NOW! AUD/USD Flows - Rio sells JV stake to BP, did BP sell GBP/AUD? MP3myMP3 Recorder saves any audio you hear on your computer straight to mp3 or wav. If you can hear it you can record it! Record internet radio and save to mp3 or wav. Record from any source. Rip Vinyl, rip CD's, batch rename, create playlist and more.